Providing you the best range of pre damper machine, gas purge machine, custom manufacturing machine and portable spraying machine with effective & timely delivery. 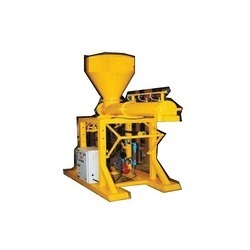 We are counted amongst the eminent names in the field of manufacturing and exporting a large gamut of Pre Damper Machines. These technologically advanced machines are assembled using premium class components and advanced technology tools. Our compressive range is available in different models and specifications that meet each and every individual requirement of the clients. We, Cs Engineering Works brings a well crafted and engineered Gas Purge Machine to our clients at competitive prices. We are one of distinguished manufacturers & exporters of industrial machines, industrial process equipment, concrete pan mixers.The organization also offers excellent Engineering Fabrication Services to its clients from across the globe. Simple structure, light weight, compact size. Use - Purging for metal purification from slag or impurities. We are one of the renowned names in the field of manufacturing and exporting an exclusive range of Custom Manufacturing Machine. The range we offer has been undergone several quality standards and parameters to make sure that they are free from any fault. These are known for their faster operations, easier maintenance and standard quality. 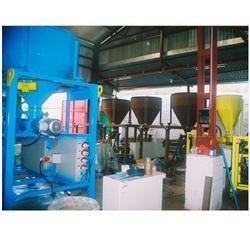 We offer these machines at most competitive rates in market. 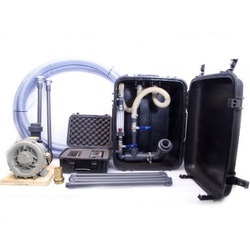 The organization has the experience in manufacturing and offering Portable Spraying Machine which are known for their sturdy construction and fine output. 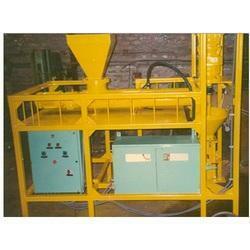 Some of the main applications of the Spraying machine include pumping and spraying of construction material. We employ good quality raw material in the production process to ensure that the final product is truly world class.